On March 1-2 “Europe without Barriers” together with partners from Poradna pro integraci (Czech Republic), and Center “Women’s Perspectives” (Lviv) organized in Lviv a training, a game and a quiz about traveling to the Visegrad countries for tourism, study or employment. On March, 1 in Lviv Professional College of Hotel, Tourism and Restaurant Business the training “Travel, studying and work in the Visegrad countries” took place, having involved about 40 people. Experts from Kyiv (Iryna Sushko, Kateryna Kulchytska, NGO “Europe without Barriers”), Lviv (Nadiya Kostina, Center “Women’s Perspectives”), Prague (Petr Bisof, “Poradna pro integraci”) were speaking about the rules of safe and legal travel. 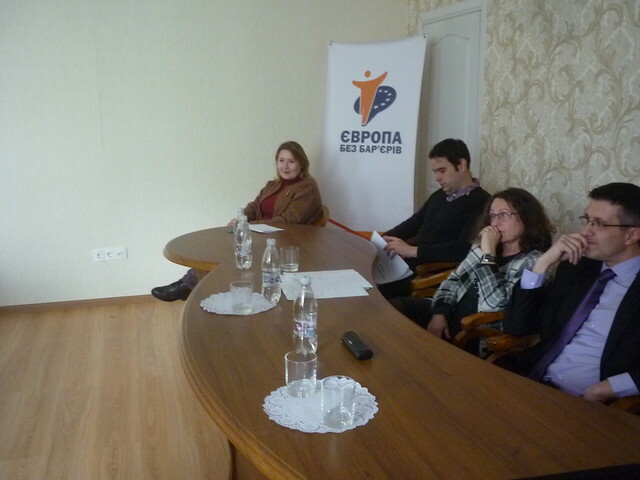 EwB Executive Director Iryna Sushko, International Visegrad Fund Advisor Irena Krasnicka and Consul General of Czech Republic in Lviv Pavel Pesek delivered brief introductory speeches. During the event videoclip “Youth for Responsible Mobility” was demonstrated. Expert of Centre “Women’s Perspectives” Nadiya Kostina told about human trafficking and main risks associated with work and studying abroad. 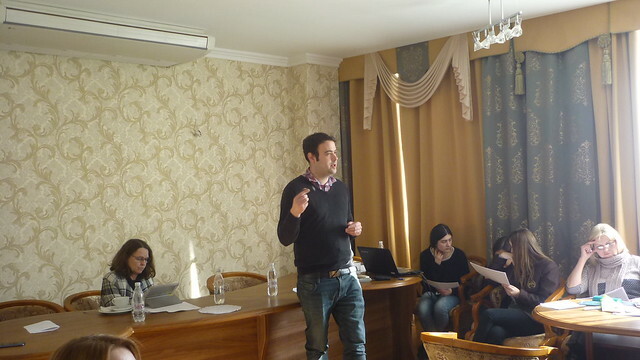 Participants of the training took part in a group game with preparing travel documents and interactive quiz. Participant were presented passport covers with motto “Youth for responsible mobility”. On March 2 in Lviv State University of Life Safety a shortened version of the advice on issuing documents for traveling abroad and employment, human trafficking risks was presented. After this the participants of the event checked down their knowledge in the game format. All events are held in the framework of project “Creative youth education for responsible mobility”, supported by Visegrad Fund and the Government of the Netherlands.